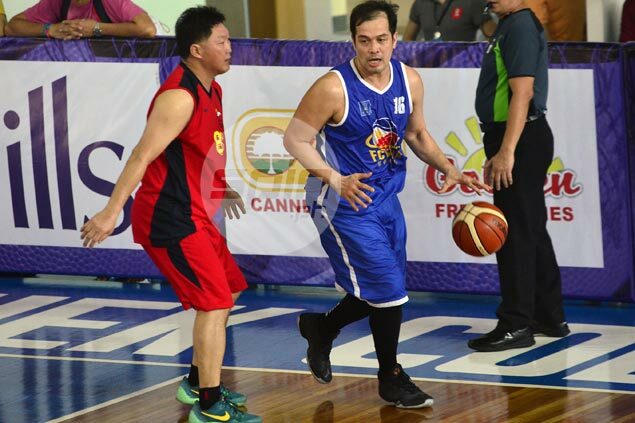 GERRY Esplana and Alvin Patrimonio led Filipino-Chinese Veterans Basketball Association (FCVBA) to a 93-59 win over Sarawak-Malaysia on Friday in the title game of the 25th Asean Veteran Basketball Championship 50-above division at the Chiang Kai Shek College Gym. Esplana scored a game-high 23 points along with six rebounds, while Patrimonio churned in a double-double of 14 points and 15 rebounds as the FCVBA squad topped the 50-above class via sweep of all five of its matches. Allan Caidic finished with 12 points and six rebounds, while Bennett Palad added 12 points, nine rebounds, and three blocks for FCVBA, which also got five points and 10 assists from Tanduay Distillers president and chief executive officer Bong Tan. FCVBA ran away with the victory after grabbing a 43-22 halftime lead in the championship game of the tournament sponsored by Freego Jeans, Philippine Airlines, Rain or Shine, and Ironcon Builders, and organized by Edster Sy of Headstart.